Today’s technology-driven world we all need to get security and protect the site against future attacks. We all love spambots, don’t we? They really support us improve our sites. Sometimes there was a situation with one of our client being hit by a spam bot that generated dozens of customers accounts daily. Let us show with the help of Website Development Company, how to get rid out of them. Here, one person asks: “ Why there wasn’t any validation on the registration form? ”. Well, in past things were functioning smoothly for a couple of years, so there wasn’t need for one. The problem has occurred for a few times ago until it was recognized. 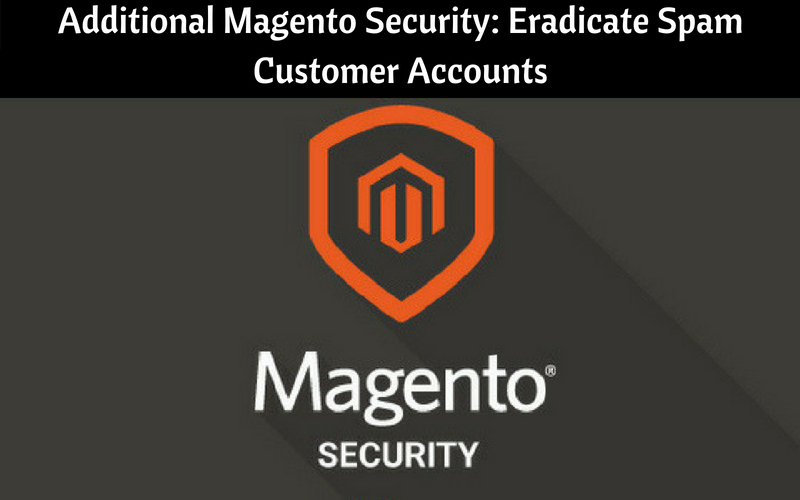 Here initiate individually in the situation where spam customer account has to recognized, deleted and prevented from registering again. When it’s time for the detailed examination of customer grid, it was instantly clear this wasn’t going to be easy. Any store there are many accounts with different names, emails and addresses. Assumes that at the time, nearly 30000 accounts were registered. Going through the list and delete them manually was not an option. It would take more time to open each account, examine it and decide whether it’s a spam account or real customers. It has to be complete with the script. No simple way of properly recognizing spam customer accounts. In order to delete them programmatically, you have to take care that you’re not going to delete a real customer. Because it would be the very unpleasant situation for a customer be unhappy, but every connection to his/her orders would be lost. So, constructing a way to recognize only spam customer account would be in a few steps. Flow through a reasonable number of spam accounts and write down most repeating equivalence between them. One or two capital letters at the end of a first name or last name, rest of the letters are small. Here, the first phase should do the trick. But, to be sure that no original data will be lost from Magento, this additional step will be applied. This specific spambot was unable to register and login to the site. It only created the number of accounts. So, all of those accounts didn’t have any address associated. If any account with address, it shall be skipped from deleting. Make sure that if there any orders for each account. Most probably the real account when there is an order associated with a customer account it shall also be skipped from deleting. Some specific case, the filter had to be very carefully set because there are real customers on the site whose names are written in capital letters. Before removing customer account, it is pure to written in the log file. After all the criteria check spam customer accounts can be deleted simply by calling $customer->delete() function in a loop. In any websites, there are numbers of different spambots out there, so there is no easy and certain way of deleting accounts from the website once they are registered. With the help of Custom Web Development team, you must be examined manually and pattern shall be defined accordingly. So, Rest of the spam accounts are not so difficult to delete manually.